Looking for a complete range of fuel tank services in Launceston? Look no further than Radiators Plus – we’ve been manufacturing, repairing and cleaning fuel tanks for our valued customers for years! Whatever your requirements, we have the experience, skills, passion and tools to complete your project to the highest standards. 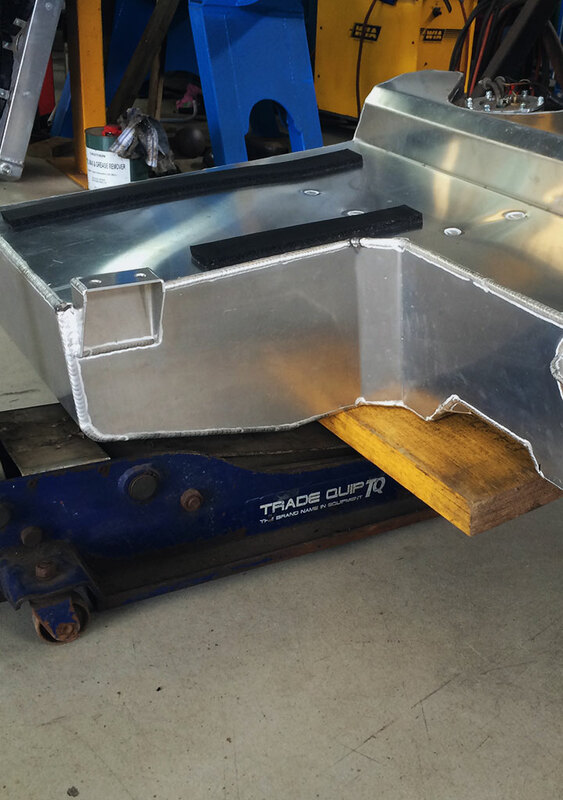 At Radiators Plus, we can design and manufacture a complete alloy or steel fuel tank fully baffled with fuel wells, range of fittings, mounting brackets and quality TIG welded. In-tank fuel pumps, external surge tanks and more built to your precise specifications. We have a keen interest in vintage and old steel fuel tanks, we welcome the opportunity to revamp or restore your tank to match its original appearance using old-style swaging techniques, TIG welding or soldering. Over time fuel tanks may rust from the inside out due to possibly water in the fuel. This may result in surface rust to pinholes throughout the tank which when leaking poses a safety hazard. Particles of dirt and rust will make their way through the fuel system potentially clogging injectors or jets in the carburettor. Filters become blocked etc. Radiators Plus can clean fuel tanks out, repair damaged or rusted out bottoms to manufacturing a complete units. Contact Radiators Plus in Launceston for further information on our fuel tank manufacturing, cleaning and repairs. Radiators Plus, covering your fuel tank needs.